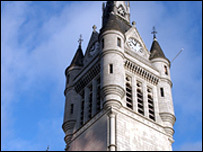 The Liberal Democrat and SNP groups on Aberdeen City Council have announced their intention to form a new ruling coalition. Negotiations between the two political groups have ended with an agreement to form a joint administration. The elections earlier this month saw the Lib Dems win 15 seats in the new 43-seat council and the SNP 12 seats. The proposed new administration is set to be ratified at the statutory council meeting on Wednesday. The SNP had doubled its councillors in Aberdeen to 12, the Lib Dems dropped five to 15 and Labour lost three to 10. The Tories had five seats and there is one independent.